Eating healthy fat presents in food like avocado’s and nuts is healthy for the body as it assists the body in the removal of cholesterol from the cell. Controlling and reducing cholesterol in our body is something very important for a proper and healthy lifestyle. However, nutrients counting in each type of food can be seen as an endless task where it can be inexact and downright tedious. To overcome such frustrating situations, DietSensor makes counting an easy process with the exact proportions of daily intake and at the same time an effective way to control obesity. The obesity epidemic has gone global, and it may be worse than most thought. A new study in The Lancet says that if current trends continue, 18% of men and 21% of women will be obese by 2025. In four decades, global obesity has more than tripled among men and doubled among women, the study says. 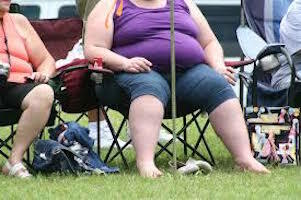 Approximately two-thirds of the developed world is overweight, yet most people seek to be slim. In the US, about 75 percent of US men and 67 percent of US women are now either overweight or obese. “Let food be thy medicine” Hippocrates, the Father of Medicine, said. This suggests that one should be mindful with whatever he consumes because food is related to several diseases and among them Obesity, cardiovascular disease and certain cancer. You can only manage what you measure. This why DietSensor, the first instant nutrition coach with sensors is able to tell within seconds the nutritional values of a food or beverage and give immediate advice, driven by evidence based medicine. It is aimed at people who need to regain control of their daily food intake, especially those who are suffering from being overweight or with chronic diseases related to nutrition. A recent study found that teenagers who don’t eat a good breakfast are more likely to be obese and have high blood sugar in adulthood. Statistical analysis showed that teens with poor breakfast habits were 69% more likely to be obese and have high fasting glucose in their 40s than their peers who ate a good breakfast. A “good breakfast” should include protein, healthy fat and a source of carbohydrates like fruit or vegetables or minimally processed grain. We all know that we sometimes skip breakfast and that we shouldn’t. 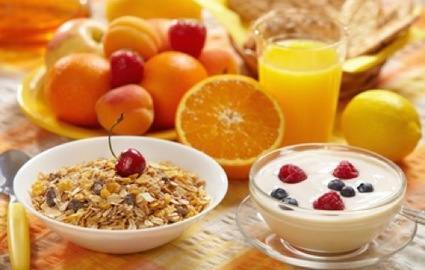 But even when we take time for a good breakfast, is it a well-balanced one?